The City of St. Louis has so much to offer - you can have an awesome (and affordable) experience with your group, without straying more than a few miles from the AMEN House! Whatever your group's interests and budget, take a look at some of our favorite places and spaces in STL! 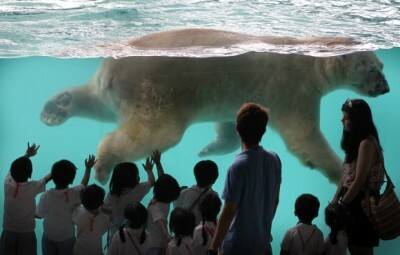 Recently voted Best Zoo and America's Top Free Attraction! Parking is $10 in the lot, but there is free street parking available if you don't mind walking a little! AMEN-tip: Save the penguin exhibit for near the end of your trip - it's a great place to cool off quickly! 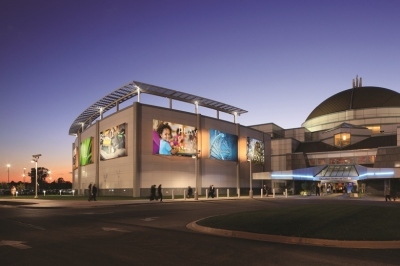 Another great place to beat the summer heat in St. Louis, the Science Center has 3 floors of interactive exhibits, an IMAX theatre, planetarium, space flight simulator, and outdoor hands-on agricultural learning center. AMEN- tip: There's free parking if you park on the planetarium side and take the skybridge over to the main building! This award-winning museum has one of the largest Impressionist collections in the US! Take some time to rest and recharge while walking through these beautiful exhibits. AMEN-tip: There's just as much going on OUTSIDE the museum - in the summer, this is the site of the St. Louis Shakespeare Festival (June) and the Art Hill Outdoor Film Series (July/August) - both are free, too! This outdoor historic site preserves the remains of the most sophisticated prehistoric native civilization north of Mexico. Within the 2,200-acre tract, located just a 20 minute drive from AMEN House, lie the archaeological remnants of the central section of the ancient settlement that is today known as Cahokia. 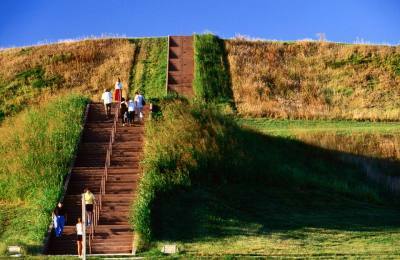 This is a great chance to learn about the history of indigenous people in this region, and to get some exercise and a great view by climbing to the top of the mounds! Great for sunrises and sunsets. 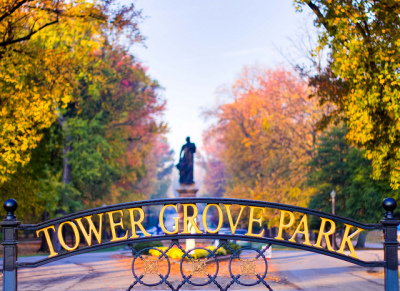 This St. Louis gem is just three blocks away from the AMEN House! Built in 1868 on 28 acres adjacent to the Missouri Botanical Garden, this beautiful park is a great place for a picnic, a pick-up soccer or kickball game, or just to walk around and relax. AMEN-tip: The Farmers Market on Saturday mornings May-October is one of the best around! Music, food trucks, and tons of great vendors! 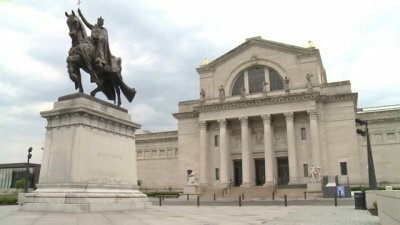 Located within walking distance of the zoo, science center and art museum, the Missouri History Museum is a great place to spend an hour or two of free time! 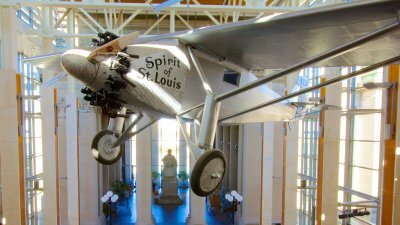 See Charles Lindbergh's famous plane, the Spirit of St. Louis, or visit one of the traveling exhibits on the history of Route 66, or the civil rights movement in St. Louis. 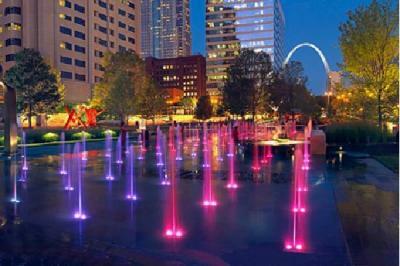 Located downtown, this is a great place to stop after you've been to the Arch or a Cardinals game, or just want to beat the heat! This park is full of beautiful sculpture exhibits that you can climb, fountains to splash in, and a splash-pad that lights up at night! AMEN-tip: If you head there during lunch, this is a popular stopping point for some of STL's best food trucks! The (Not) Free Stuff...But worth it! Everyone knows St. Louis' iconic Gateway Arch, but did you know you can actually go inside it? 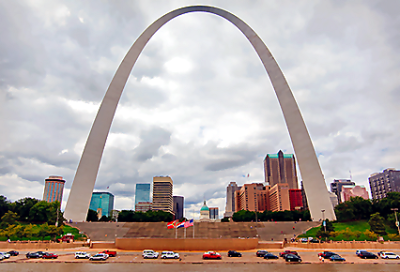 An elevator will take you to the very top of the arch, for unparalleled views of St. Louis and the Mississippi Valley. The Arch is open until 10pm, so try it at night for a fun way to see the city lights! AMEN-tip: The Old Courthouse, where you buy your Arch tickets, also has a great free museum! It's where the famous Dred Scott case was heard. 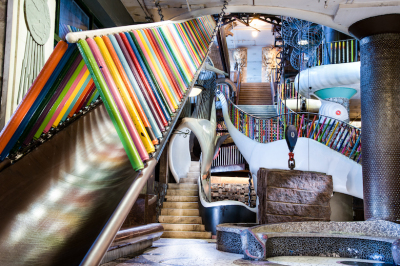 One of the most-recommended stops from all of our visiting groups, the City Museum is a former 10-story shoe warehouse that is now home to a awe-inspiring maze of the whimsical and odd. You'll find things to climb on (and in), bounce on, slide down, and more! And, it's actually meant for adults and teens! AMEN-tip: The museum is open until midnight on Fridays and Saturdays, in case you run out of time during the day! 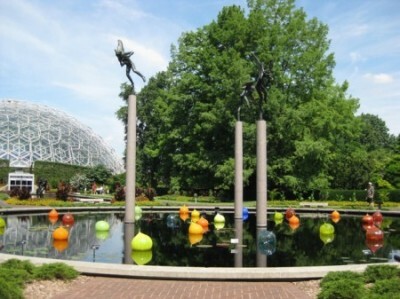 Founded in 1859, the Missouri Botanical Garden is one of the oldest in the US, and a National Historic Landmark. Its 79 acres include a biodome, a 14-acre Japanese garden, a children's garden and play area, beautiful, lush walking trails, and several glass sculptures by famed artist Dale Chihuly. There are also several festivals and special exhibits throughout the year.